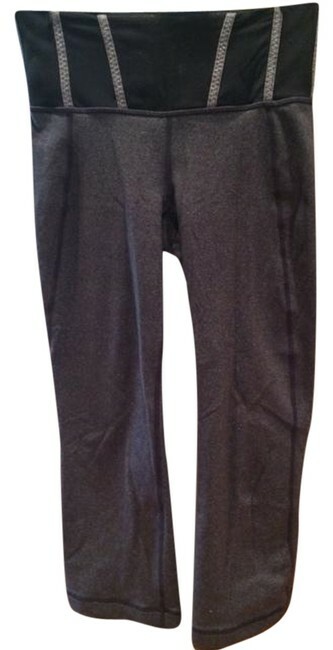 Lululemon gray heathered crop yoga pants. The smooth, flat waistband is comfortable and won't dig in; a hidden waistband pocket for your keys and cards. Crop, flare bottom.